Before we start creating impulse responses by ourselves, we need to look at the principle and operation of convolution reverb. Since the reverb of convolution programs arises due to impulse responses, we need to look at this first time in more detail. An impulse response is as the name implies, a short pulse signal, which sounds like a rifle shot. It is comparable to an acoustic fingerprint and contains all information about the acoustics of a room. Or more precisely expressed: the impulse response contains all information about the acoustics of a room, exactly at the microphone position where the impulse response was recorded. 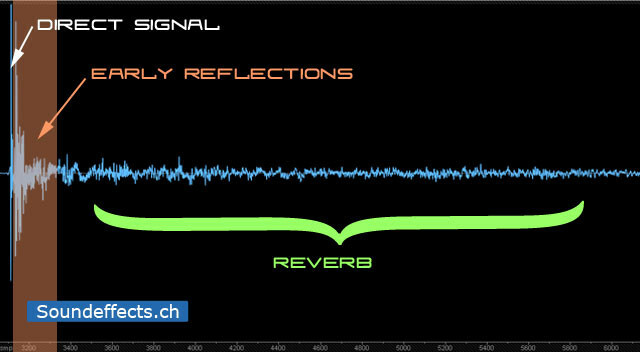 An impulse response consists of direct sound, early reflections and reverberation. According to the recording position, the proportions of direct sound, reflections and reverberation are distributed according to: was added closer to the sound source, the more pronounced is naturally the amount of direct sound, such as can be clearly seen in Figure 4. The further you move away from the sound source the more you find yourself in the early reflections and reverberation. Figure 5 shows a diffuse absorption with great reverberation. If you listen to the impulse responses, it can be said due to the sound quality of an impulse response itself quite a lot about the room and the hall, they will generate. short impulse response with a strong proportion of direct sound. After 0.4 seconds is almost no a reverberation present. The impulse response shown in Figure 4 has, in contrast to Figure 5, a strong start amplitude, indicating much direct sound. 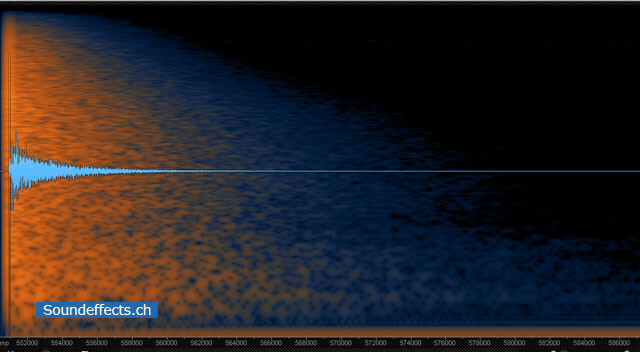 This is only possible if the distance from the microphone to the sound source is well within the reverberation radius. Figure 5 has a substantial proportion of direct sound and is practically only from the reverberation, resulting in a corresponding diffuse sound field. 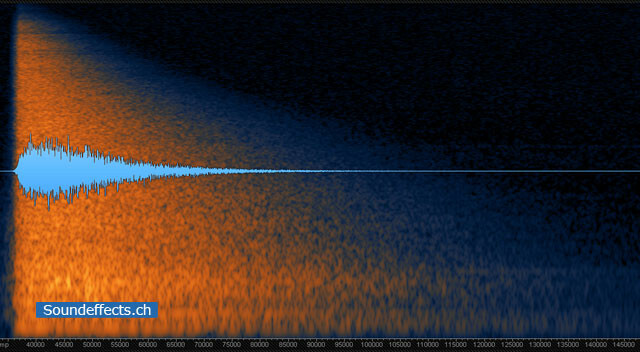 Even the echo resonates in Figure 5 with 1 second off still, indicating a large and reverberant room. In contrast, Figure 4, has returned into silence after 0.4 seconds. Generally speaking, then, that a short impulse response with a lot of direct sound component creates a small, dry room. With larger rooms is with increasing distance from the sound source, the proportion of direct sound small, but the echo of the more pronounced, resulting in a more diffuse sound.